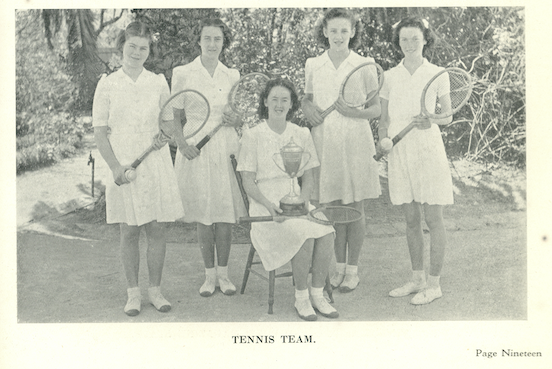 Photographs - Brighton technical school, Victoria, Australia. Girls' School, "Cora Lynn" 45 Cochrane Street, Brighton, Victoria. Brighton Technical School. Berwick Street, Brighton, Victoria. New Wing - Boys' School. 1945 "Sea Spray" Magazine. Brighton Technical School, Berwick Street, Brighton, and 45 Cochrane Street, Brighton, Victoria. The circular drive at "Cora Lynn", the Girls' School, can be seen on the right-hand side of the photograph, opening onto Cochrane Street, Brighton. 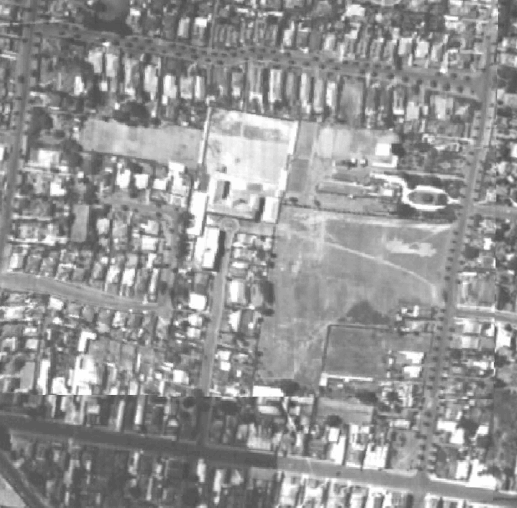 Aerial photograph taken in 1945. Brighton Technical School. Berwick Street, Brighton, Victoria. The outer sports ground. 1971 "Seaspray" Magazine. Brighton Technical School. Girls' School. "Cora Lynn". 45 Cochrane Street, Brighton, Victoria. The Domestic Science Classroom. 1936 "Sea Spray" Magazine. Brighton Technical School. Girls' School. "Cora Lynn". 45 Cochrane Street, Brighton, Victoria. Millinery Display. 1936 "Sea Spray" Magazine. Brighton Technical School. Girls' School. "Cora Lynn". 45 Cochrane Street, Brighton, Victoria. View of the south side of the School. 1945 "Sea Spray" Magazine. Brighton Technical School. Girls' School. "Cora Lynn". 45 Cochrane Street, Brighton, Victoria. (Boys' School in the background.) Physical Education. Dancing. "Driving Horses". Form I. 1954 "Sea Spray" Magazine. Brighton Technical School, Boys' School. Berwick Street, Brighton, Victoria. Students Using Lathes. 1936 "Sea Spray" Magazine. Brighton Technical School. Girls' School. "Cora Lynn". 45 Cochrane Street, Brighton, Victoria. Sketching Out Of Doors. 1954 "Sea Spray". Brighton Technical School. Boys' School. Berwick Street, Brighton, Victoria. 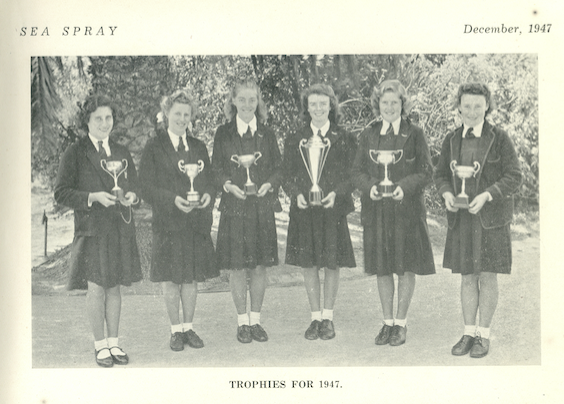 Football State Premiers, 1948. 1948 "Sea Spray". The Technical School. Official Opening of the Brighton Technical School which took place on 28 July 1922. "WEEKLY TIMES" (Melbourne, Vic.) Saturday 5 August, 1922. Page 39. Group of Visitors. Official Opening of the Brighton Technical School which took place on 28 July 1922. "WEEKLY TIMES" (Melbourne, Vic.) Saturday 5 August, 1922. Page 39. The School Children. 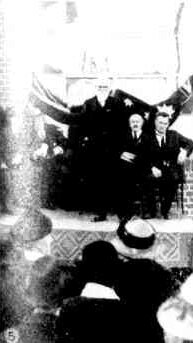 Official Opening of the Brighton Technical School which took place on 28 July 1922. "WEEKLY TIMES" (Melbourne, Vic.) Saturday 5 August, 1922. Page 39. 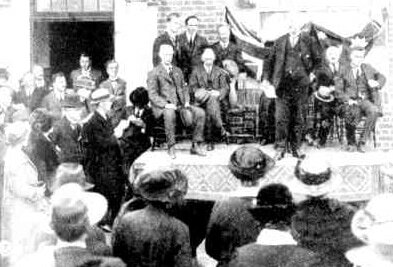 Sir Alexander Peacock, (Minister for Education), declaring the School opened. Official Opening of the Brighton Technical School which took place on 28 July 1922. "WEEKLY TIMES" (Melbourne, Vic.) Saturday 5 August, 1922. Page 39. 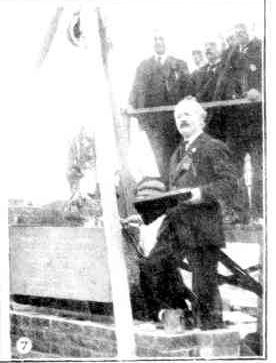 Mr. Snowball, M.L.A., laying the Foundation Stone of the New Work-shops. Official Opening of the Brighton Technical School which took place on 28 July 1922. "WEEKLY TIMES" (Melbourne, Vic.) Saturday 5 August, 1922. Page 39. At the Foundation Stone Ceremony. 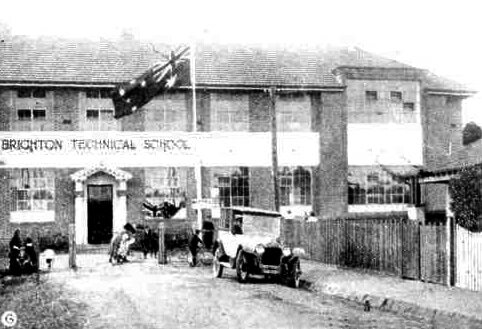 Official Opening of the Brighton Technical School which took place on 28 July 1922. "WEEKLY TIMES" (Melbourne, Vic.) Saturday 5 August, 1922. Page 39. Councillor Wilson, (President of the School Council). Official Opening of the Brighton Technical School which took place on 28 July 1922. "WEEKLY TIMES" (Melbourne, Vic.) Saturday 5 August, 1922. Page 39. "The Argus" 19 April, 1934. Page 8. "School Badges Have a Meaning". BRIGHTON TECHNICAL. The crest of the Brighton Technical School is unusual as it is that of the Snowball family. It is a horse's head on a plate sable. The original escutcheon contained three silhouetted heads against the plates. Authority was granted for the use of the family crest as the school badge to commemorate the valuable service given by the late Mr. O. R. Snowball, former M.L.A., when the school was founded and his work as president for several years. The design was slightly amended by the introduction of the chevron, which enabled the words Brighton Technical to be introduced. The crest is used by Cora Lynn Girls' School, the boys' branch, and the senior departments of the school. There is no motto. Brighton Technical School. Boys' School. Berwick Street, Brighton, Victoria. Science Room. 1955 "Sea Spray" Magazine. Brighton Technical School. Boy's School. Berwick Street, Brighton, Victoria. Physical Education. 1956 "Sea Spray" Magazine. Brighton Technical School. Girls' School. "Cora Lynn". 45 Cochrane Street, Brighton, Victoria. Interpretative Dancing. Form 1 AB. 1956 "Sea Spray" Magazine. Brighton Technical School. Boys' School. Berwick Street, Brighton, Victoria. Main Building. 1945 "Sea Spray" Magazine. Brighton Technical School. 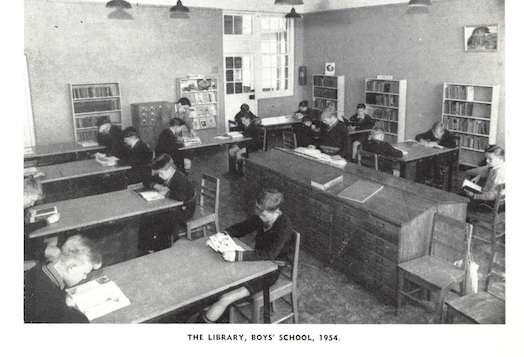 Boys' School. Berwick Street, Brighton, Victoria. School Entrance - View from Berwick Street, Brighton. 1948 "Sea Spray" Magazine. Brighton Technical School. Boys' School. Berwick Street, Brighton, Victoria. The Library, 1954 "Sea Spray" Magazine. Brighton Technical School, Boys' School. Berwick Street, Brighton, Victoria. Woodwork Class. 1936 "Sea Spray" Magazine. Brighton Technical School. Boys' School. Berwick Street, Brighton, Victoria. Woodwork. 1946 "Sea Spray" Magazine. Brighton Technical School. Girls' School. 45 Cochrane Street, Brighton, Victoria. Weaving Room. 1946 "Sea Spray" Magazine. COURTESY OF MYER BLOOM. Brighton Technical School. Berwick Street, Brighton, Victoria. Honour Board, Dux of the School, 1922 - 1985. Photograph taken 7 May, 1995, during demolition of the School. Brighton Technical School. Boys' School. Berwick Street, Brighton, Victoria. The Principal, Mr. Topperwien, and Boys' Magazine Staff. 1947 "Sea Spray" Magazine.